Machiavellian betrayal, Shakespearian tragedy, dark mystery. The last few weeks in British politics has been an incredible roller coaster ride for everyone. There is much to learn here about the nature of story, the nature of perceptions, even the nature of life. This article by Mark Mardell succinctly sums up what probably happened. There is also the odd, but in my opinion revealing, story of Boris turning up for a meeting with his main assumed rival, only for her not to show up: why would he even agree to meet with her unless he too was planning a betrayal? Beyond that, are rumors of George Osborne, the chancellor, manipulating Gove behind the scenes, no doubt in an attempt to save his own political career. None of the actors in this saga believes they are villains – they all see themselves as the heroes. It is us, the observers, who immediately allocate to them the roles of victim, hero, and villain, but we may have allocated wrongly (more about this later). Everyone, with maybe the exception of Boris (more about this later), did what they did because they believed it was right for, themselves, others, and their country. No one acted the way they did because they are inherently evil – they all had, or believed they had, very good reasons for taking the actions they did. When the stakes are high, and real power is the goal, ambitious people will reveal their true nature. This is the essence of a good plot: make sure the goal is large enough, make sure your characters desire for the goal is absolute, put them under real pressure, and make the story about your character’s actions driven by motives and/or beliefs. What we really want to know is, why do they do what they do? Nobody could predict how this drama would play out. The characters involved made minute by minute decisions, without knowing the full consequences, or how others would react, and without necessarily knowing what the others were doing at the same time. And yet we, the observers, describe what has happened as Machiavellian or Shakespearean. To make sense of this drama, we immediately look for story comparisons. Why? Because we can’t help it. Humans are inherently programmed’t to understand the world through the medium of story. It’s our way of making sense of the world around us. We automatically look for a story that fits the presumed scenario and if the facts turn out to be incorrect, then we just change the story until we find one that fits. We want there to be a villain, we want a hero, and we want a victim. What does this mean for authors? Every time we create an original story, we are potentially creating a new frame of reference to help individuals understand the world. So who stabbed who in the back? I believe Gove, realising Boris had faked his enthusiasm for Brexit and had little appetite for following through, did the only thing he could for a cause he felt passionately about: sidestep Boris and put himself forward. And Boris’ revenge? I believe it was enacted immediately. By not standing for the leadership himself, Boris successfully cast Gove as the back stabbing villain, with himself as the victim, and ensured Gove’s leadership bid would end in defeat. Curiously, even though I believe Boris is the real villain, it is still very difficult to view Gove as anything other than ‘the politest back-stabbing villain in history’, because Boris has spun the story so brilliantly. As political thrillers go, this is a plot of genius – a description sometimes used of Boris himself. And just where did that phrase, which will haunt Gove for the rest of his life, “The politest back-stabbing villain in history,” which the media has jumped on so readily, originate? If it were my plot, it would have only one subtle source. In his article, Mark Mardell predicts a final act in the drama, where Boris enacts his revenge on Gove. But this was not to be. Step into the drama a side actor, who has to this point been expertly navigating the choppy and treacherous political storms with cunning and caution. The last act of this whole drama belongs not to Johnson or Gove, but to the new British Prime Minister, Teresa May, who now steps into center stage. During her first two days in office, she strikes efficiently and ruthlessly, to carry out an audacious political coupe of historic proportions. From a political perspective, it’s a bloodbath. The new prime Minister systematically dismantles the government of the previous six years. If the old Chancellor, George Osborne, was behind the Gove/Johnson betrayals, in an attempt to retain political influence, he is now the main political casualty. Not only has he lost his own job, but his entire political power base, and that of the previous Prime Minister, David Cameron, has been shredded. This includes Gove, who is now thrown on the political scrap heap. Rumors or not, the new Prime Minister has no intention of letting anyone manipulate her – who would have thought she had it in her. She has created a very Thatcherite or Churchillian government, with, to put it more politely than Churchill, all the potential mavericks inside looking out, rather than outside looking in – a cabinet of ‘nay sayers’ as Clinton would call it. Johnson has landed a top job as Foreign Office Minster. He did indeed goe his revenge on Gove , but ironically not through his own scheming, but as a weapon wielded by an even greater power-player than himself. Claim you FREE copy of Gaia’s Brood. Get it while you can. Is a Novel always Fiction? Why do I need a Book Marketing Plan? Watch the Book Trailer Video for Gaia’s Brood. 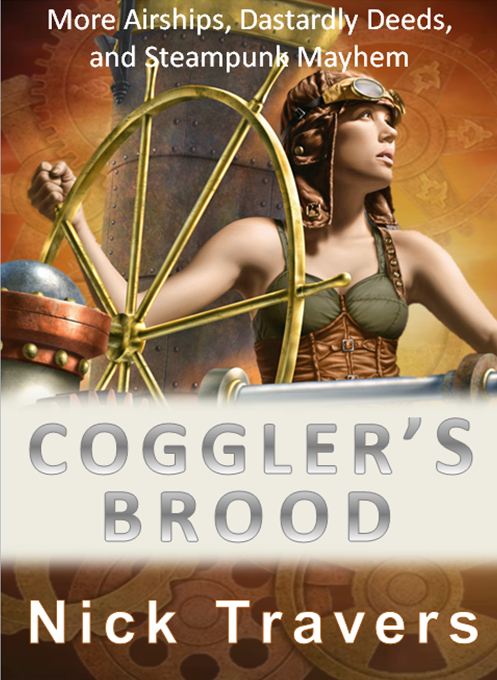 Coming soon: ‘Coggler’s Brood’. Join my mailing list to get a free review copy before the official launch. Click the image to start your sign-up. Clicking on the image will take you to the Goodreads Website. 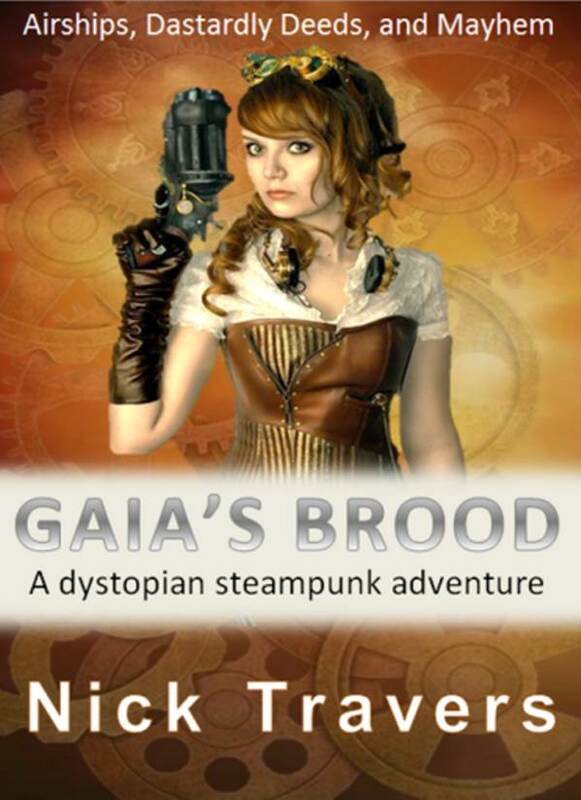 Claim your copy of Gaia’s Brood while it’s still Free. Click on the image to start the download process.